Your mind is powerful AND it's also one of the main reasons you aren't experiencing the results you desire in your life. In order to attract the life you desire and deserve you must elevate your thinking, it sounds like a cliche' but it's nothing but the truth. Successful people have a mindset that is in alignment with their goals and desires. Positive thinking is a fluffy term that alot of people dismiss, as it rarely carries the same weight as "work ethic" or "persistence." Negative thinking is only FEAR! Any resistence is fear for that matter. Fear creeps in when you are stepping outside of your comfort zone. Fear tells you, you can't do this or can't do that because it will take you looking through a different lense to accomplish those goals and live the life you actually dream of. Hard work, persistence and a can do attitude will definitely be needed. 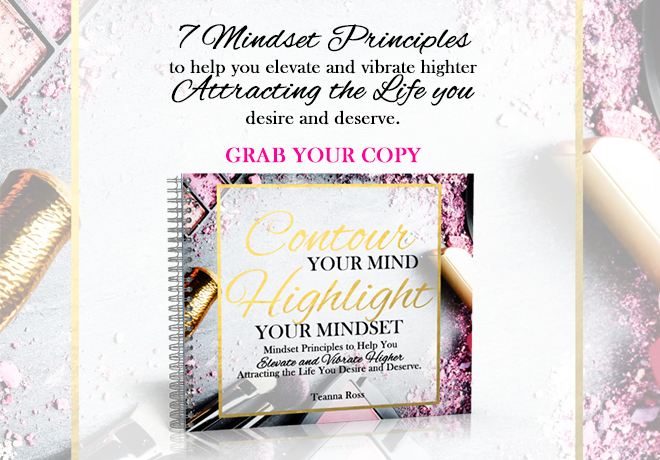 Download this guide to "Contour Your Mind and Highlight Your Mindset. Nothing but greatness is on the other side.